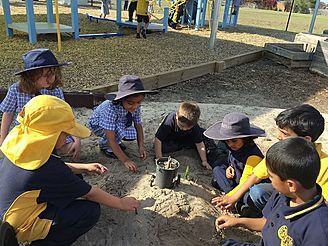 Established in 1958, Glenroy West Primary School is located in the inner-northern Melbourne suburb of Glenroy and set in a quiet residential area. 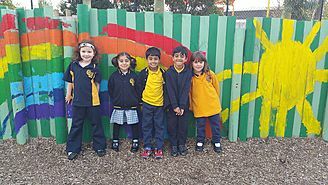 The school is a Kindergarten to Year 6 co-educational learning community. At the very heart of our purpose is the pursuit of excellence. We aim to continuously improve the quality of education for every child in every classroom. The student population is diverse with twenty-four languages represented at the school and 32 per cent of students coming from a home where English is not the main language spoken. We strive to develop internationally minded, globally competent learners who have a strong sense of self, and an awareness and acceptance of international diversity. We encourage every member of our school community to be compassionate global citizens and active lifelong learners. 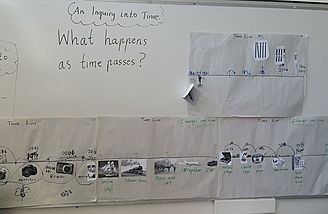 Students at Glenroy West Primary School engage with the world and latest technologies through a comprehensive Inquiry-based curriculum. Students are supported to develop skills, knowledge and concepts alongside strong foundations in literacy and numeracy. 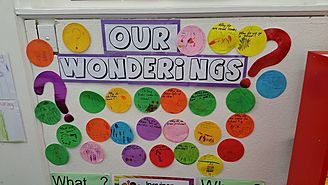 Children are encouraged to inquire about the world they live in and also to become active, compassionate, lifelong learners.